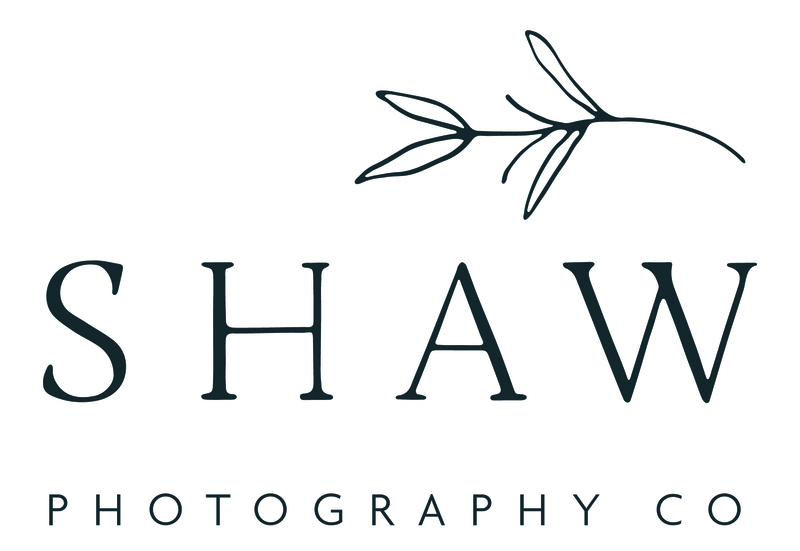 An Interview with Lydia Maybe from A Tribe Up North | Shaw Photography Co. I first met Lydia about 5 years ago when she came to me for photography business mentoring. I was immediately drawn to her incredible positive and uplifting energy and from that moment I knew we were bound for friendship. From there, I’ve gotten to know Lydia more closely and I absolutely adore that when Lydia enters a room; so does joy, confidence, intuition and a strong faith that everything is divinely timed. And from being around her, I feel those qualities strengthen in myself. Not only has Lydia been a talented and successful wedding photographer since 2010, she also recently launched her soul project, a brand identity and web design agency called Tribe Up North. The philosophy of her branding work is intentional, connected, deeply rooted and engaged. She is a firm believer of knowing where your roots are growing and prospering where you are planted. She is an entrepreneurial woman with a goal of helping other fellow small business owners hone in, not only on their what and how, but on their why. I am so excited to share this interview with Lydia where we dive into her intention behind her work, how her business has evolved since it first started, what she knows for certain and so much more. If you’re looking for someone to help you tell your story brand better, be sure to give Lydia a follow at Tribe Up North on Instagram and keep up to date with her offerings at Tribe Up North’s beautifully designed website. How do you describe what you do to others? I turn small business promoters into story brand authors. I’m committed to helping small business owners bring their ideas together and establishing structure that becomes a core value system based on what they believe at the heart of their business. Together, through mentorship, we give some life to those ideas and at the finish they have confidence in the voice they share with the world and ownership over the process in which they whole-heartedly serve their clients. What is your intention behind your work & offerings? Having a core value system is absolutely everything. Knowing what you believe as a business is vital to providing the best possible service to your clients. So I am here to establish what that core value system is and align language, quality of service, and the online platform (website, social media, etc) to share those values. In almost every industry, there are other people who can do what you do to some degree. But my goal is to have your client say, “It had to be you and no one else!” This dynamic in relationships is needed to ensure you love what you do and are passionate behind your vision 5 or 10 years from now. Your logo or website may change in the years to come in growth (I’m here to help with that! ), but the core of what you believe as a business will only grow stronger. So it’s important to establish that first. I’ve always been fascinated by the threads that lead someone right to the moment they are in. What are your earliest memories of being drawn to branding work? I am a product of my parents’ faith and love. Dad taught me to indulge in my sense of adventure. Mom showed me how to love and to serve. So the passion to communicate and hear a story different than my own came with me from my first breath. Perspective is a powerful tool. Mine has been changed more times than the hairs on my head (or so it feels!). Now that drive has taken shape in the form of a branding business that makes me excited to get up everyday. I want to hear, share, learn from, and curate other stories. They just happen to be clients with businesses! Was there one or two key threads or bigger moments/life happenings that really pushed you to evolve yourself from photography to a Tribe Up North, where your heart & passion truly lies? Absolutely. Traveling the world and photographing weddings is a gift! Being witness to one loving another and being invited to that table, so to speak, has added immeasurable blessing to my life. But that shifted in the passing of my mom in late 2016. Grief changes everything. Facing my life down the road without her kick started many life changing thoughts. What did I want to see 10 – 20 years down the road? What work did I want to center my passion around? Years of thinking about a branding business rooted in mentorship suddenly formed into a vision I couldn’t look away from. It was time for that reality to take shape. My head and my heart got together and here we are! I often say that of all the adventures I’ve been on… owning a business is one of the greatest. There is a vulnerability that comes with working so closely for others, especially in branding them. What have you learned about yourself and a permission to be vulnerable? This is a fantastic question! Let’s keep it simple and say one of the most powerful assets in Tribe Up North has been my own ability to grow and change myself on a consistent basis. Unless I’m willing to be open, honest, vulnerable, corrected, motivated, and guided… how could I ask someone else to be? I grew up hearing the words; “Leave a place better than when you found it.” This has been carried over into one of my core beliefs. Except, in reference to people. I focus on being a healthy and safe place to be all of those things because, although we’d love the superpower to change others, we only have the ability to change ourselves and provide a healthy environment that encourages growth in others. Vulnerability and trust is the beginning of a strong and resilient communion of the mind and heart. This is what I refer to as finding your true North. What is one of the biggest lessons you’ve learned from working for yourself? Your life can radically change by simply saying hello. In 2009, I formed a new friendship with a young woman on an Israel trip over chai tea in the middle of the night when I couldn’t sleep. This led to shooting her wedding 3 years later, where I made instant best friends with people in her wedding party. These friends later invited me to travel the world with them and that eventually led me to a 2 week adventure in Maui where I took 2 hours of my time and gave a free session to another lovely couple for engagement photos. Here’s the key that bridged it all together… When I was hugging the couple farewell I said, “Please keep me in mind when planning for your wedding celebration.” That was it! 4 months later I got a call asking, “were you serious?” 6 months later I was with them taking some of my favorite wedding images I had ever captured. This led to another wedding job 8 months after that! This bride is a dear friend now and offered the phone number of her mentor and said to call her when I was ready. Well in June of 2016 I desperately needed a life mentor and made the call. A flight to California to this mentor radically changed my life and gave me direction, healing, and a complete transformation of my mindset for life and business. The moral of the story? You never know the value of the heart in front of your Hello. Ask for help. I have no desire to build this alone. I grow better in my tribe. So the team that makes up Tribe Up North is centered on creating opportunities for others through building successful relationships and providing a dynamic vision that emboldens a business owners’ voice through their brand story, logo, and web design. We’re all in this together. When do you feel the most connected to yourself? My sanctuary is in nature. I stood on a boardwalk in the jungle some years ago and didn’t move. It felt like the life all around me was breathing through me. I simply was a part of something so much greater than myself. It didn’t begin or end with my being there. I’ve chased many places on the planet finding those pockets of light to experience that. But I’m thankful that I’m starting to feel that connection with myself even when I’m in a room with people or I’m sitting alone doing work at a Tipico. Success in life relationships begin with a healthy relationship with yourself. A never-ending journey and one I’m enjoying! How do you refocus yourself when you’re feeling uninspired or stuck? Let me count the ways! This is multi-faceted. I meditate, go for a walk, have lunch with a friend, or my latest obsession… podcasts! Coming back to that shift in perspective. Change the environment of that sticky place and you increase the chances of finding your way out of the rut. Being in tune with yourself and knowing why you’re uninspired or stuck is a biggie! Sometimes I just need to eat (raise your hand if you’re a foodie!) or a decent nights sleep (no more 3 am bedtimes). Other times it’s because I have unresolved stressors or I’m overwhelmed by an inefficient workflow. This is where mentorship is my go to. I remember, I’m not doing this alone. What is an as of yet unrealized project of yours? I’m story driven. I’ve sat next to, across from, and shared space with incredible people with amazing stories of pain, love, and overcoming. I want to keep that going within my own culture. I started a personal project a few years ago interviewing the elders of the Seneca tribe. I have interview recordings sitting on a hard drive. I want to go back to my own roots and share their stories. Where do you see yourself & your work evolving in the next 5 years? I see myself working from corners of the world… cultivating, engaging, and investing in small business brands. My constant passion for travel will play an important role in the years to come. My goal is to have a simple formula for the business and let the stories guide each one on their own path. A business coach I’ve worked with (Dani Johnson) teaches that the desire reveals the design. I’m on a mission to help you map out your design! What is one thing you know for certain? I know we are never more at peace than when connected and deeply grounded with something bigger and more real than our fears and insecurities. Only then can we bless and be blessed.